Eager to serve your children a delicious snack that also helps to close the fibre gap? Well, moms, we have a nutritious product that the kids will love! Introducing brand new Mott's Fruitsations* +Fibre; unsweetened goodness, made with real fruit, natural flavours, and colours with added fibre - we've got your snack! Looking for the perfect simple snack while working away at your desk or for a 5 minute "me moment" in the middle of a hectic day? The Juice Cleanse Experiment: What You Need to Know and Do They Deliver Results? As many of you chicks know, when you come across a product that you really love, all you want to do is share that product with as many people as possible! I've had a few favourite products over the past little while and I've been making a list in my head so I could share them all with you. 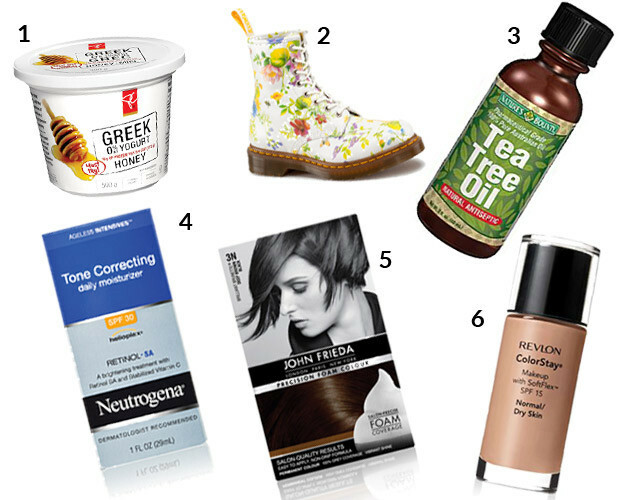 These are my picks for spring in food, beauty and DIY! Like most people, I was once intimidated by the thought of making my own bread. It's a lengthy process and (presumably) easy to flub, but I come from a long line of German women who make fantastic brrrrread from scratch all the time (and yes, it's important to roll the "r" or it doesn't count) so defeat is not an option. It’s a little premature for New Year’s Resolutions, since I typically like to save those until February, but my new life goal is to eat like a real-life grown-up.